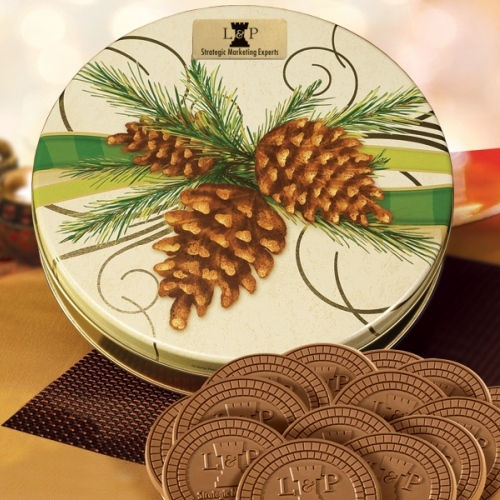 Festive Pinecone tin holds 20 of our sugar, chocolate or oatmeal cookies (one type per tin) topped with your logo engraved in your choice of our premium Belgian milk or dark chocolate. Tin includes black imprint. Tin measures 9-7/8in x 1-1/2in. Net wt. approx. 22 oz.